Never pick the wrong head or pocket again! The SSLAX Gift Card is the perfect gift! 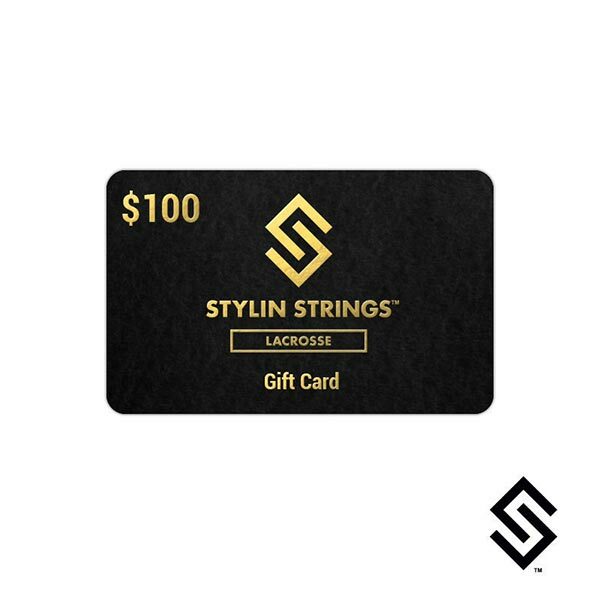 StylinStrings Gift Cards make the perfect gift for the lacrosse player, coach or fan. Our gift cards are a great way to give a custom lacrosse pocket, dye job or complete stick and allow full customization by the recipient. INSTANT DELIVERY: We will send you your Gift Card Code via e-mail so you can give it to the recipient instantly. No need to fret because even if you are down to the wire, you will still have a Gift Card Code to put into a Birthday or Holiday Card. Online Gift Cards are for use at www.stylinstrings.com and CAN be used at our retail facility.